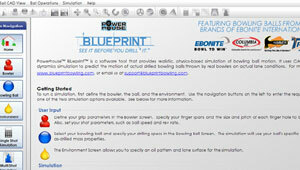 Below are some screenshots of the Powerhouse Blueprint software. 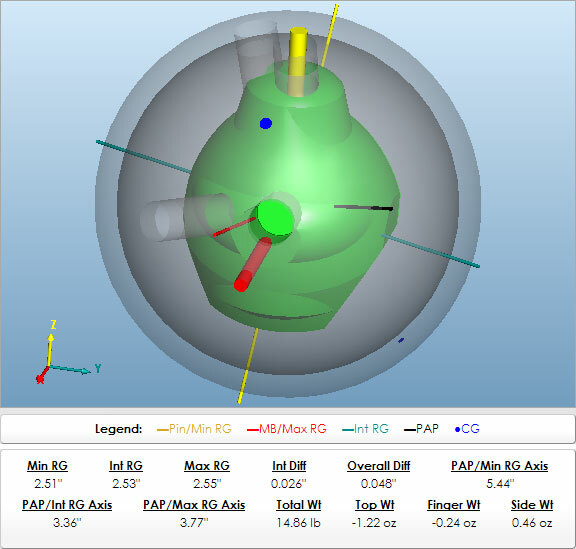 They show the various input screens, where you can enter your information and virtually drill the ball; the simulation screens, where you can simulate the motion of the ball on the lane; and a few other images that highlight some of the software's features. 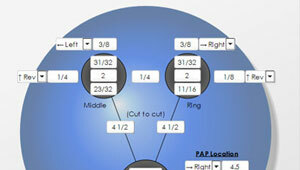 Click on any of the thumbnails below to view the full-size images in a slideshow. 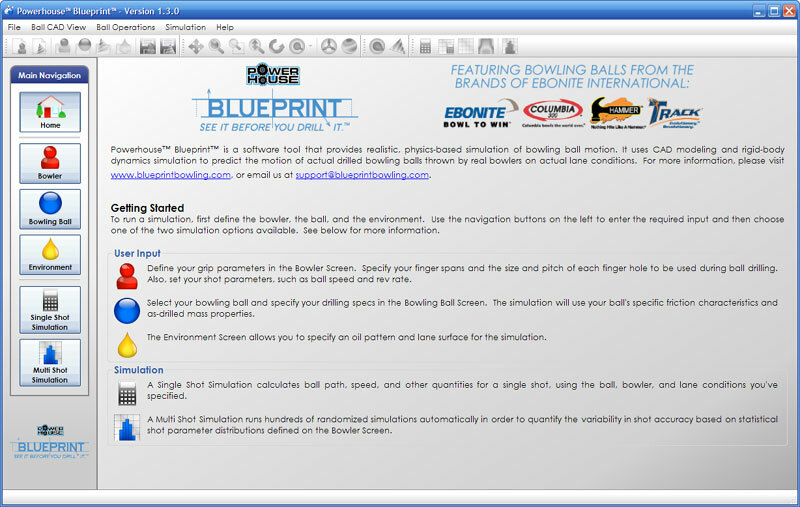 Blueprint's Home Screen provides an overview of the software and gives some basic tips to help you get up and running as quickly as possible. 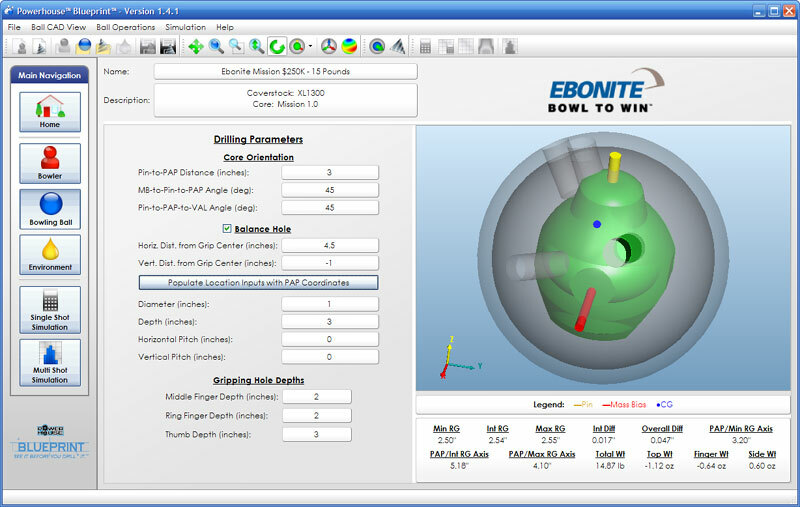 The Bowler Grip Screen allows you to input everything that describes a bowler's grip, such as hole sizes, spans, pitches, etc. 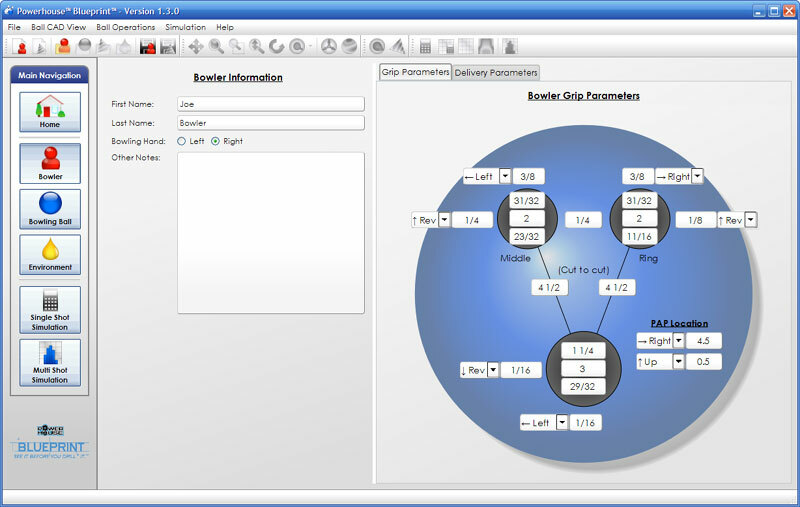 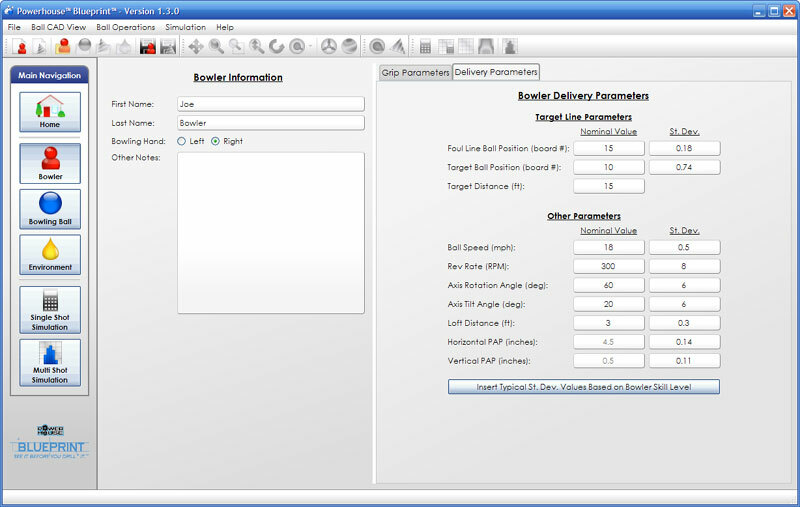 The Bowler Delivery Screen allows you to input the parameters that describe a bowler's delivery, such as ball speed, rev rate, axis rotation, etc. 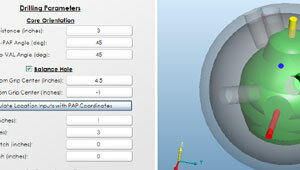 On the Bowling Ball Screen, you see a 3D model of the actual ball. 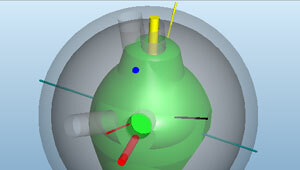 Here, you can virtually drill the ball, experiment with weight holes, and see how the ball's mass properties change. 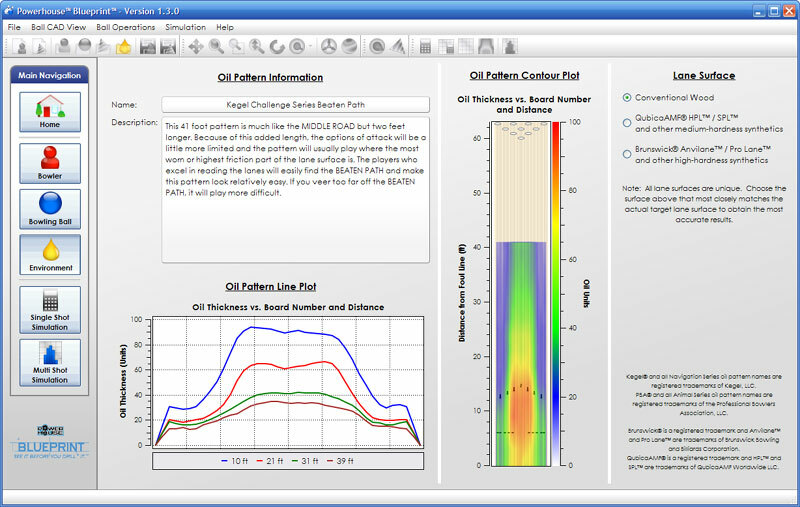 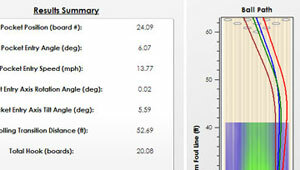 The Environment Screen lets you specify an oil pattern and lane surface. 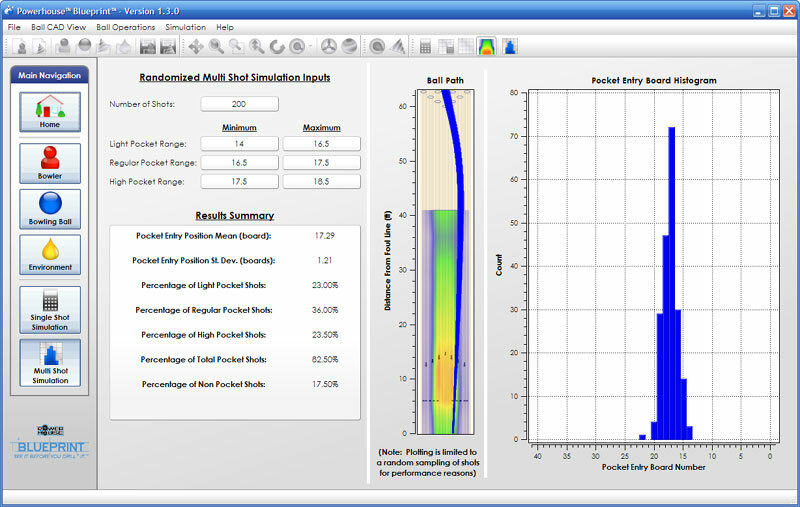 Select from a wide variety of oil patterns from Kegel and the PBA and then select the appropriate wood or synthetic lane surface. 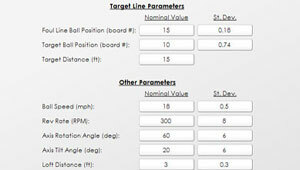 After you have supplied all of the required inputs, you're ready to simulate how your ball will perform on the lane. 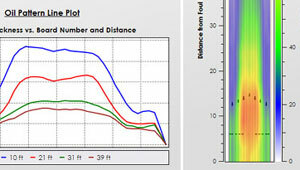 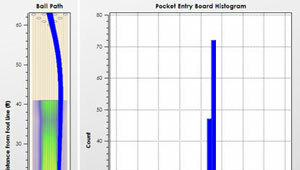 You can even plot multiple shots, to see the effect of adjusting your input parameters. 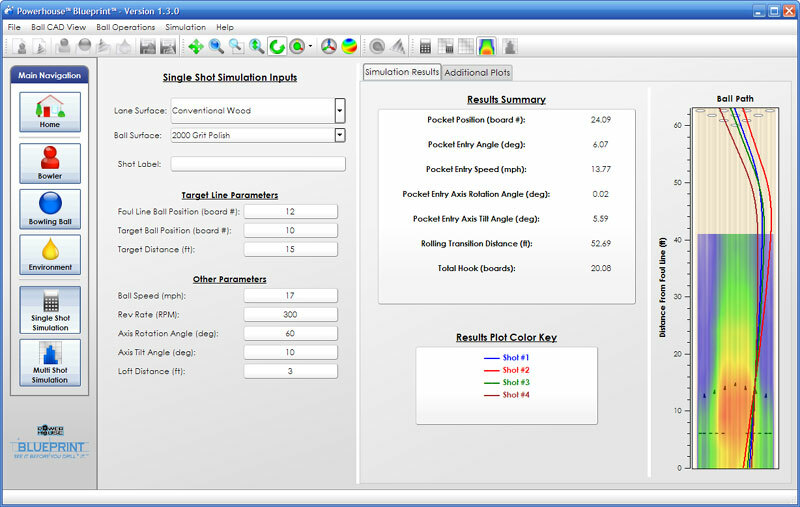 A Multi Shot Simulation simulates hundreds of shots using the natural variation in your delivery. 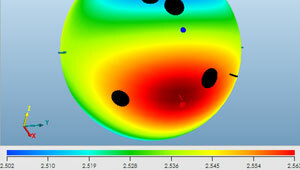 When you drill the ball, you change its mass properties. 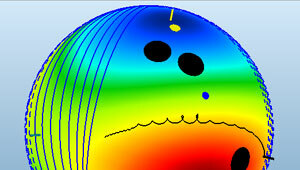 On the Bowling Ball screen, you can see the effect of drilling on the principal RG axes. 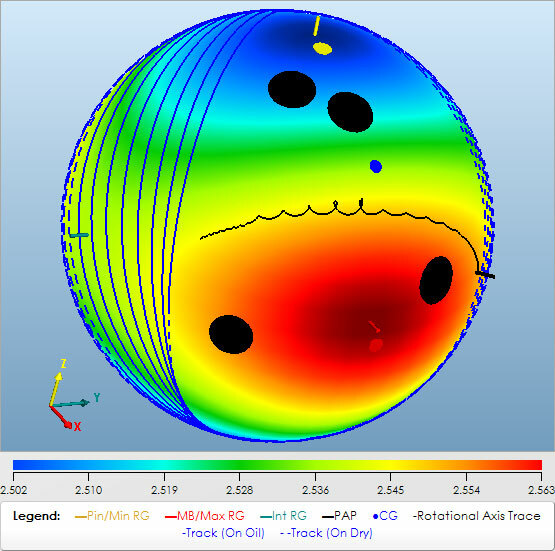 On the Bowling Ball screen, view the RG contours of the ball both before and after drilling. 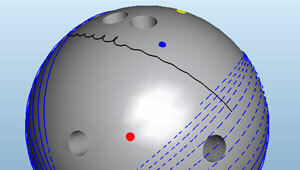 RG contours are useful in predicting axis migration. 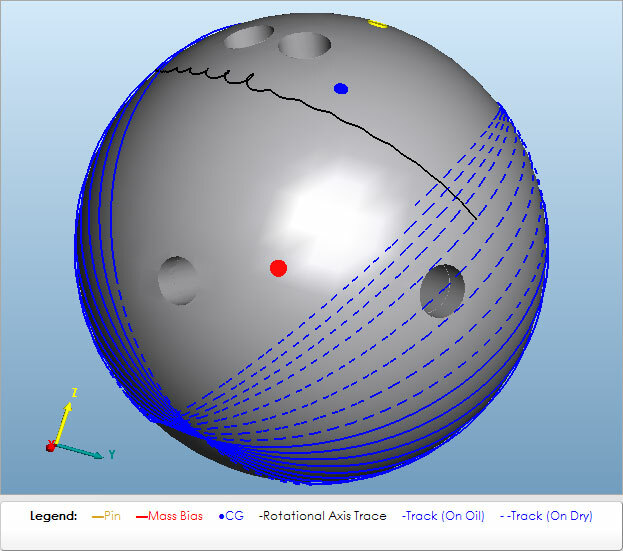 View the predicted ball track overlaid on the drilled ball. 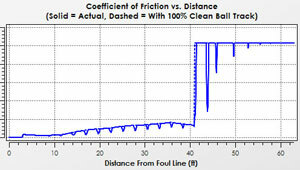 Verify before you drill that the ball won't roll over any holes! 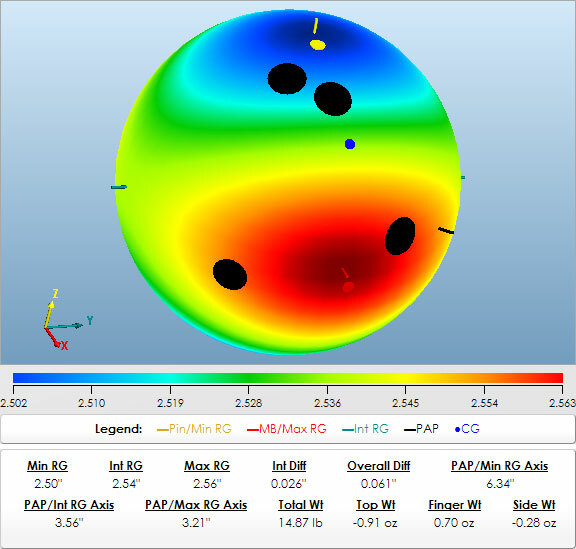 With the RG contour plot overlaid onto the ball track plot, you can see that the axis migration follows a line of near-constant RG. 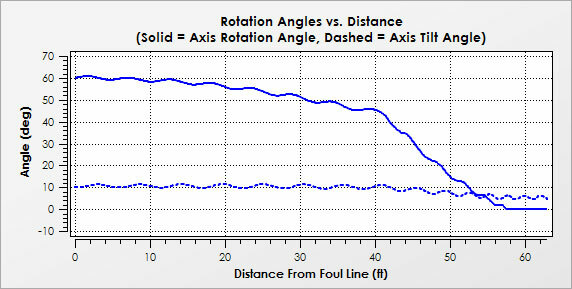 See the friction between the ball and lane during the shot - you can even see the friction drop when the ball rolls over the track bowtie! 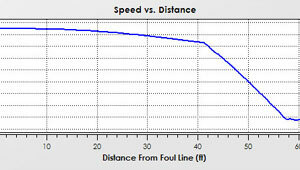 Shows the ball speed as the ball travels down the lane. 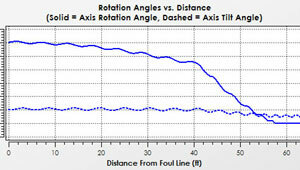 Shows axis rotation angle and axis tilt angle as the ball travels down the lane. 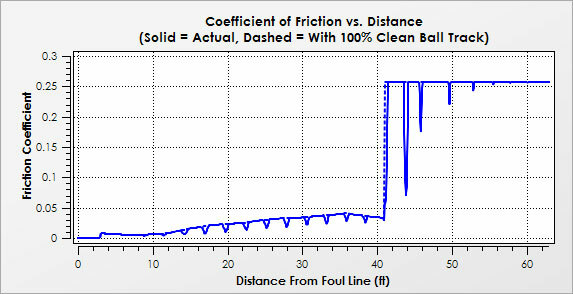 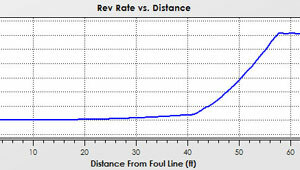 Shows the rev rate as the ball travels down the lane.